After our weekend in Miami, it was off to Laguna Beach for the 4th of July weekend and fireworks on the beach. We flew to Las Vegas then drove the four and a half hours to Laguna Beach in a convoy of two cars with my sisters and all the kids. We arrived in the middle of the week and spent our days hanging out and enjoying the California weather and easy breezy lifestyle. 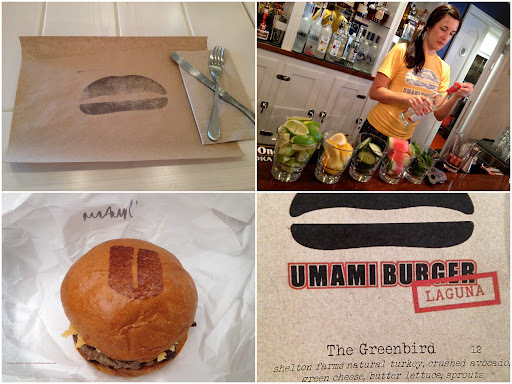 Two casual food places we tried were: Umami Burger and La Sirena – perfect for a pre or post beach California day. Umami Burger’s menu has ten burgers from their signature classic Umami burger (shiitake mushrooms, caramelized onions, roasted tomato, Parmesan crisp and their in-house umami ketchup) to the Lemon Miso Crab Melt (jumbo lump crab with burratta, baby heirloom tomatoes and lemon miso dressing). There’s lots of sides to choose from: thin fries, sweet potato fries, smushed potatoes, tempura onion rings, house pickles, market salad and this being granola-California, there’s also a side of truffled beet salad with truffled ricotta. smoked almonds, wild baby arugula and truffle dressing. Burger buns are branded with a U and condiments are numerous – from umami ketchup to jalapeno ranch to diablo sauce. Wines by the glass and craft beers are also available along with fruit-based killer cocktails. 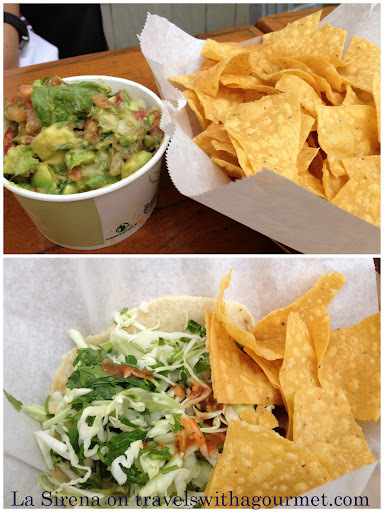 La Sirena is a tiny semi-fast food and take-out counter with a few tables scattered around on the sidewalk. It gets full early and stays full almost all day so get ready to line up for your food and wait for a table afterwards. Breakfast burritos are served along with huevos rancheros and a breakfast torta. Lunch turns out a larger menu with the usual tacos, burritos, tortas, quesadillas, nachos, enchiladas, tortilla soup and chunky guacamole and chips. They have a kid’s menu as well and flavored agua frescas and horchatas, a milky Mexican concoction made with cinnamon, ground almonds. lime zest and sugar and here, organic milk is used to make the horchata one-of-a-kind. 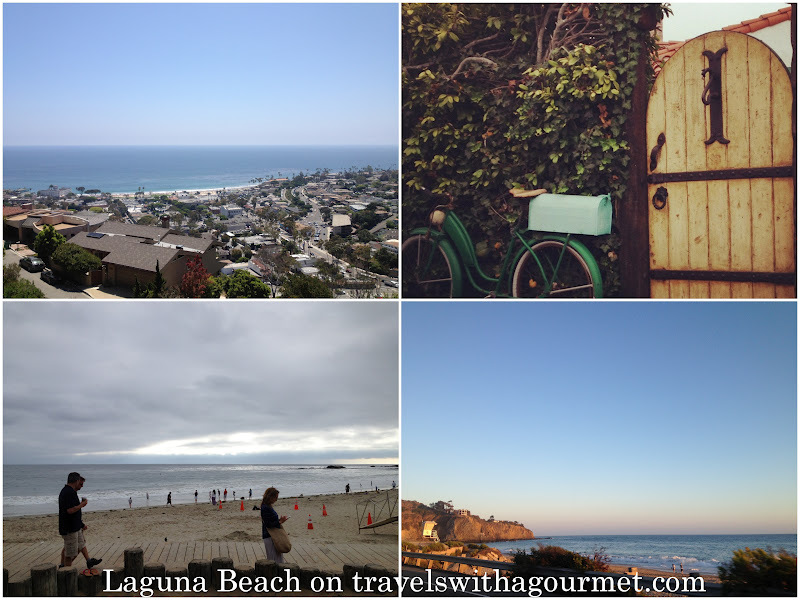 *Open Mondays to Saturdays from 8 a.m. to 9 p.m.
Glad you enjoyed my posts on Laguna Beach. Love La Sirena!